Available as printed material or downloadable as a PDF from the web, this newly revised invasive plant guide is offered courtesy of the USDA Forest Service. 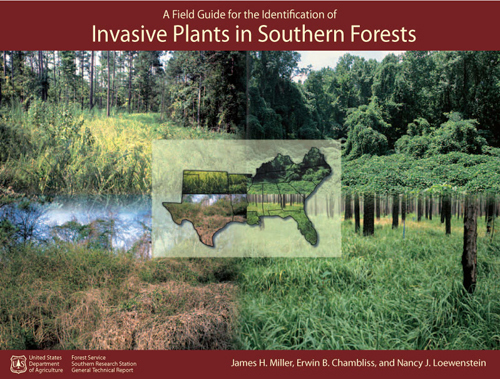 The book provides information on accurate identification of the 56 nonnative plants and groups that are currently invading the forests of the 13 Southern states and lists additional nonnative plants of increasing concern. Read more here or download by clicking here.